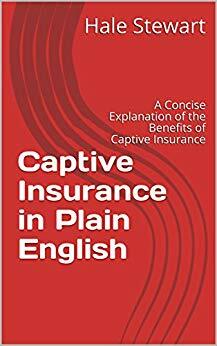 If you're a professional thinking about adding captives to your professional "tool kit" or are a business owner whose business generates at least $5 million in gross revenue, you can request a free copy of Captive Insurance in Plain English. Written for the lay-person, it's short (40 pages) and (oddly enough) written without all the legalese. Simply fill out the form below. ​A captive insurance company (or "Captive") is an insurance company that you own. For example, suppose your company is named Acme Manufacturing. After forming the captive, Acme Manufacturing would be the owner of Acme Insurance Co., which would then sell insurance back to Acme Manufacturing. "What kind of insurance?" you ask. There are a number of "standard" captive insurance policies. One of the most popular is legal liability, which simply pays for an attorney in the event you're sued. There are a host of others which are usually excluded from other insurance policies. In addition, it's entirely possible that you have a risk that you can't find appropriate coverage for. Or, you've had a bad experience with one of your commercial carriers and want to avoid that problem in the future. Maybe you'd like to draft your own policies. These are a number of the reasons people form a captive. There are others. Please call us at 832.330.4101 if you'd like to learn more.